Hi everyone! I recently bought these shorts, and they are great to use with heels as I was wearing or with flats in a more relaxed way. What do you think? For those who are on vacation, enjoy it! Olá a todos! 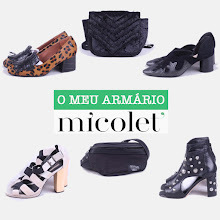 Estes calções foram uma aquisição recente, e são óptimos para usar com uns saltos altos, como eu estava, ou com uns sapatos rasos de uma forma mais descontraída. O que acham? Se for o caso, boas férias! Adorei a saia :) ! !great look !! Lindos os calcoes, tambem gostei muito do top. I love the bird prints on the shorts. Lovely look!! I love that bag!! Love the shorts! You should'nt feel you have to wear heels all the time - go with the flats if it feels right! I love the red touch! Nice pics...I love your outfit..
Look so sophisticated in this look, what a cute printed skirt! How fun! I love the pattern on your shorts.